Without clear expectations of results, neither elected officials nor the public have a good idea whether or not progress is being made on policy goals…Essentially, the process is one big ‘faith-based initiative’, distributing money and hoping for results. What results has the state government achieved thus far? Though Kansas government is spending at record levels, and $2.1 billion above inflation-adjusted levels, the state is in its 4th decade of economic stagnation. Kansas residents leave the state every year for fast-growing states with governments that spend less, and tax less. Government has a vital role to play in ensuring state spending programs are adequately providing core services efficiently. This isn’t a partisan issue; most Kansans want to ensure government can provide better service at a better price. To improve government services and to ensure there is money to pay for them, we need to examine closely how we are allocating our resources. Here are spending examples from the state’s budget that we can focus on to achieve better efficiency and effectiveness. Kansans can review state expenditure information from KanView.ks.gov. 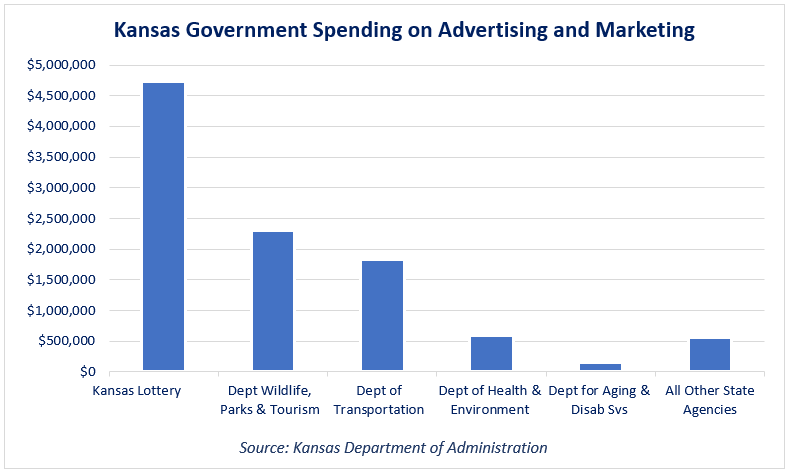 State spending on advertising and marketing should be questioned as to whether the government is getting its message out. If not, then the lack of oversight means agencies are perhaps prone to waste taxpayer’s dollars on unnecessary communication. The most doggone weird case is when the Kansas Department of Health and Environment (KDHE) spent some of its $500,000 taxpayer dollars on a campaign to promote Fred the Preparedness Dog. KDHE used Fred to educate 1600 Kansans about disaster preparedness. Additionally, KDHE spent taxpayer dollars to create a website, YouTube video, and a twitter account for Fred. Should Kansans prepare for disasters? Yes. However that does not mean Fred is necessarily a good recipient of taxpayer money. Why was this use of taxpayer dollars considered more efficient than a simple cartoon? How do you measure campaigns like ‘Fred’? How does ‘Fred’ help to better achieve results? 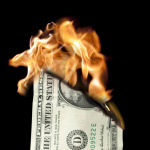 In today’s age, state spending on separate cell phones and contracts may also be considered as a poor recipient. State workers may need separate work and personal cell phones to comply with open records laws. However, the first and foremost concern is if cell phone usage helps state agencies better achieve results. How many state employees have the latest iPhone? Do state employees receive phone upgrades with the latest technology or do they receive phone upgrades only as technologically needed? What reason do state employees have to use a cell phone over an office phone? 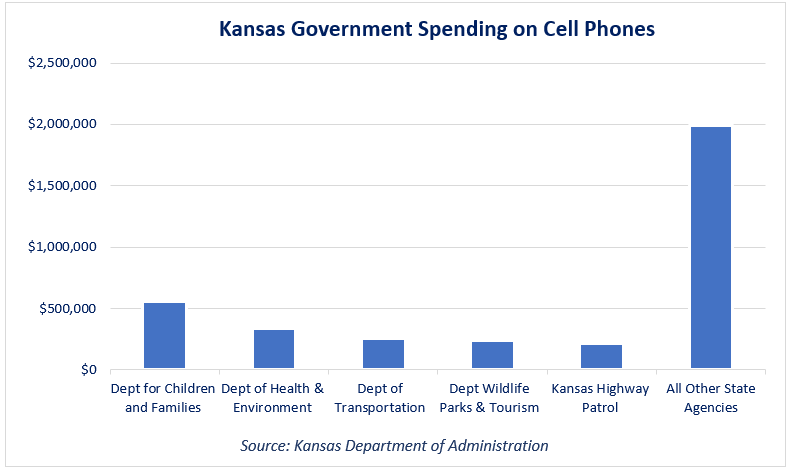 How do separate cell phone contracts help provide better services to taxpayers? In this digital age, how much travel can minimized if using tele or video conferencing? Does $20 million taxpayer dollars need to be spent just on out of state travel? What is the desired outcome and benefit to the taxpayer from these travel expenditures. Did the budget produce the revenue necessary to fund governments’ activities and did the expenditures produce the results predicted . Policymakers must ask such questions before spending another dollar. The next piece highlights how policymakers can use questioning to make government programs more efficient and more effective by using priority-based budgeting.